With innovative features like contents uploading through multiple delivery channels together with e-commerce capabilities, the Signifikant Platform provides unprecedented benefits to OEMs, operators and service providers. With your strategic work to increase aftermarket sales our solution will provide you the means to increase your aftermarket sales with 20% or more. Compete efficiently with third part vendors, increase your service staff’s sales and generate higher margins. The Signifikant Platform will boost your total profit! 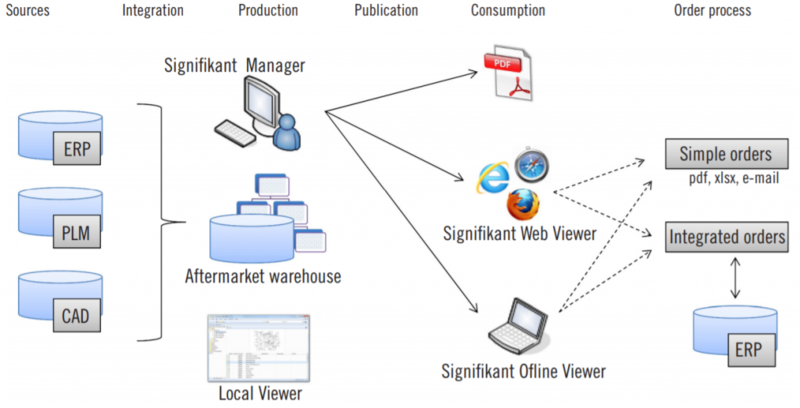 The Signifikant Platform is designed for usability, flexibility, reliability and total ownership. The core of the platform is an information server that is a platform both for services and data warehouse.